London mayor Sadiq Khan has developed a good-practice guide for estate regeneration in the capital, aiming to give residents greater say over their homes and ensure social housing is ring-fenced during redevelopment. The Better Homes for Local People guide is the first estate regeneration advice to be released by City Hall. It proposes requiring a resident vote on any redevelopment where demolition is planned, as a condition for mayoral funding, to give tenants a greater say in works carried out on their homes. Where demolition is proposed, Khan wants the council or housing association to retain all existing social housing as a minimum and in a best-case scenario increase provision. In addition, the guide suggests tenants should have full right to remain, or return, following regeneration works. "We need more social housing in London, not less, which is why I will use all my powers to make sure that any plans for estate regeneration protect existing social housing and take every opportunity to build more," said Khan on the release of the guide. "My guide sets out how I will use my investment powers in a way they have never been used before, by requiring resident support through a ballot for new plans involving demolition where City Hall funding is involved," he continued. The proposal to introduce ballots will now be consulted on for two months, before becoming a condition for future schemes in London. "I want to make sure people living on social housing estates, who have the greatest interest in their future, are at the heart of any decisions from the outset," he said. "By involving residents and putting social housing first, we can make sure plans for estate regeneration help build a city for all Londoners." The release of the guide follows the fatal fire at the recently renovated Grenfell Tower in west London last year, which prompted an investigation into the materials used on public housing across the UK. 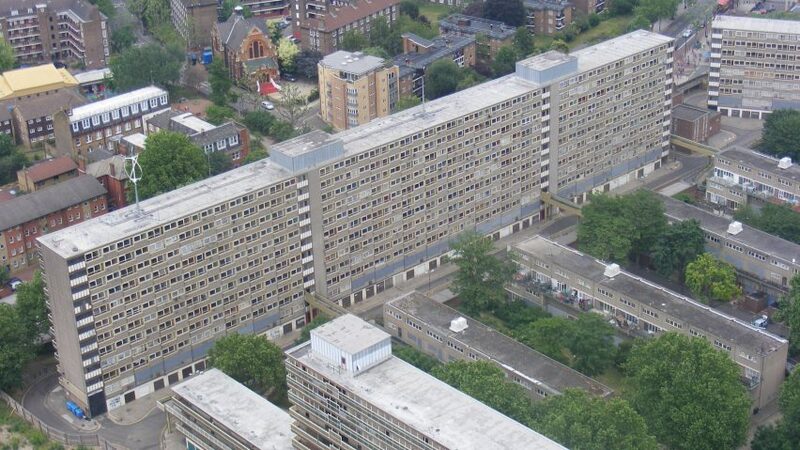 "I welcome the Mayor of London's steps to protect social housing and put residents at the heart of decision-making in estate regeneration schemes," said Bob Kerslake, the chair of the Peabody housing association and the president of the Local Government Association. "Ballots have the potential to build trust between residents of an estate and their landlord, and where they back regeneration plans, they can give everyone involved the certainty they need to get on with building more and better social housing for local people." A number of former social housing schemes are currently underway across the UK – including at the Park Hill estate in Sheffield. Here, the social housing offering will be reduced to 30 per cent, in line with current government requirements.